Foxconn woes: is Apple's time at the top over? Not quite so popular now? Hon Hai Precision Industry, aka Apple manufacturer Foxconn, has reported its most dramatic revenue drop since at least 2000, with the finger being pointed at a slowdown in sales of iPhones and iPads. It posted a 19 per cent slump in the first quarter compared with a year earlier - a dangerous sign that Apple has lost its once-firm grip on an increasingly competitive mobile device market. Of course, slumps and spikes do happen, but results missed analyst estimates by 9.6 per cent, the biggest miscalculation in four years. It's believed that this shows a drop in demand for the Foxconn-built Apple products. Apple accounts for around 60 to 70 per cent of Foxconn's sales, making it no surprise that the manufacturer is feeling the burn right now. Back in 2000 the market was vastly different. 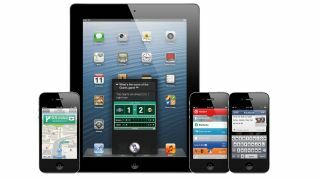 Since then, Apple has risen to prominence with the success of its iPhone and iPad devices. But times have changed, and the huge success of Samsung with its Galaxy S3, as well as the anticipation for the upcoming Galaxy S4, has made the Korean company's devices the product of choice for many consumers. Things will no doubt pick up for Apple when it unveils the iPhone 5S and the iPad 5, but maybe this is a sign that Cupertino needs to learn to surprise us again.